Many think of essential oils and miscarriage as having a cause-and-effect relationship, but in fact, essential oils can help alleviate and treat the many physical and emotional traumas that result from a miscarriage. A miscarriage is an awful, traumatizing event for any woman to go through. Picking yourself up after and healing both physically and emotionally – not to mention mentally and spiritually – is a tough uphill journey. Aside from the physical toll a miscarriage takes on your body, there is guilt, depression, regret, anxiety, fear, and overwhelming sadness. Your mood and mental state are in complete disarray because your hormones have gone haywire. In short, your body is a wreck. You will need all the help you can get as you recover from the miscarriage. Natural, holistic healing from this tragedy is possible through sufficient rest, proper diet, counseling or journaling, and aromatherapy using essential oils. After a miscarriage, the mother needs rest, calm, and relief from stress and negative feelings. The nurturing and beneficial effects of essential oils, massage, and aromatherapy are a great help to the mother at this time. The aromatic use of certain essential oils will have a calming and soothing effect on the mother. Lavender has a relaxing effect, eucalyptus is invigorating, and sage has a warming influence on the body. Lemon can lift one’s spirits, ylang ylang soothes the mind, and peppermint is refreshing. Tea tree stimulates the immune system, rosemary has a clarifying scent, and ginger can relieve headaches. Aromatherapy is, indeed, a powerful tool in holistic healing after a trauma of any sort. 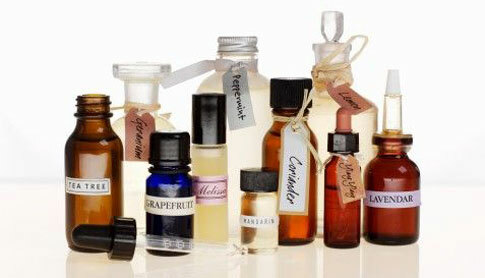 To use essential oils for aromatherapy, you can put them in a spray bottle of water and use as a body spray. You can also add a few drops of essential oil into your shampoo or to your bathwater. You can even add them to a carrier oil such as olive or jojoba and make a body oil for massages. These essential oils can be used safely in the healing process after a miscarriage. They can be used for aromatic or topical purposes. The link between essential oils and miscarriage may not as yet be scientifically proven, but after a miscarriage, essential oils play a vital role in both physical and emotional healing. A few drops of lavender essential oil in your bath make a luxurious soak that calms your mind and soothes your aching body. Geranium applied topically helps stop bleeding. Chamomile offers pain relief. To get the most out of these therapeutic effects, combine different essential oils into an oil blend and use them for healing massages. Massages dissolve tension from the muscles and help healing essential oils permeate the tissues better. Use either – or both – of these oil blends for a relaxing post-miscarriage massage. Combine the essential oils in a glass bottle. Add 1 teaspoon of coconut oil or any other carrier oil of your choice (preferably vegetable) for every 5 drops of the oil blend. Let the solution rest for at least an hour. Apply to the abdomen, back, and other painful areas. Combine the essential oils and add the carrier oil, 5 drops of oil blend to 1 teaspoon of carrier. Let the oil blend rest before using as a massage oil. This blend is particularly useful for preventing excessive blood loss, returning the blood flow to normal, and easing pain in the abdominal area and lower back.